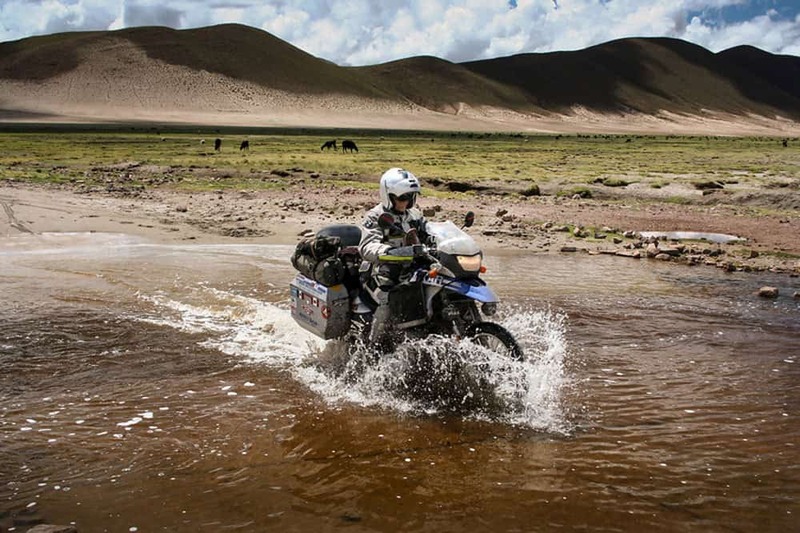 If I were a betting man, I’d wager that everyone here has watched <em>The Long Way Round</em> with Ewen and Charlie piloting their big BMW GS-A motorcycles around the globe. 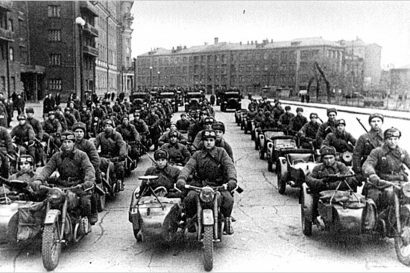 Like many RTW riders, they spared no expense with their motorcycles, one of the perks of being well-heeled movie stars. For the rest of us, plopping down $25,000 on a fully farkled adventure bike is not in the cards. Fortunately, the used motorcycle market is awash with possibilities ripe for the picking. Sticking to models capable of a RTW ride, I found five affordable options ready for the big ride. My selection criteria came with three simple guidelines: The bikes had to be under $8,000, have less than 20,000 miles on the ticker, and be no more than five years old. I also chose bikes which I felt are ubiquitous and not just rare, one-off finds. 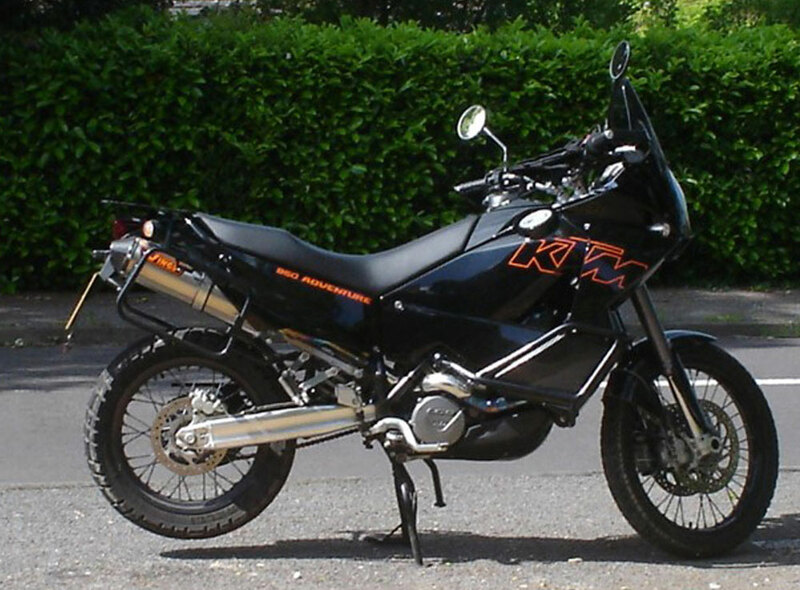 Produced in staggering numbers over the last 26 years, you can’t swing a dead cat without hitting a KLR. Arguably the most traveled adventure bike in the world, the KLR is simple, reliable, and without question––proven. The aftermarket support is extensive and the global dealer network about as comprehensive as it gets. Used KLRs abound with a prime candidate probably right around the corner from where you’re sitting right now. They handle well on the road, do admirably off-road and carry modest loads rather well. 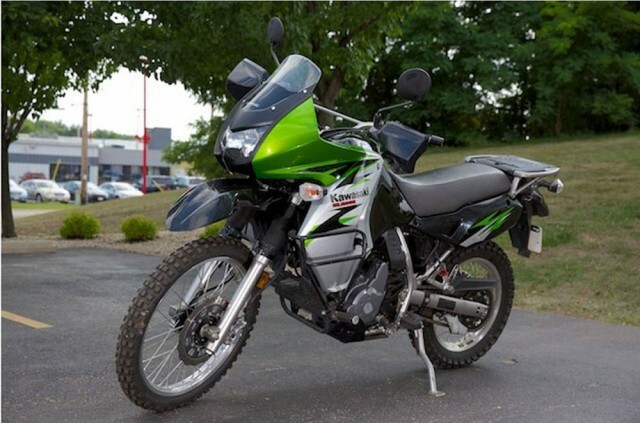 The latest generation KLR started production in 2008 and can be found for well below $5,000 with low miles. 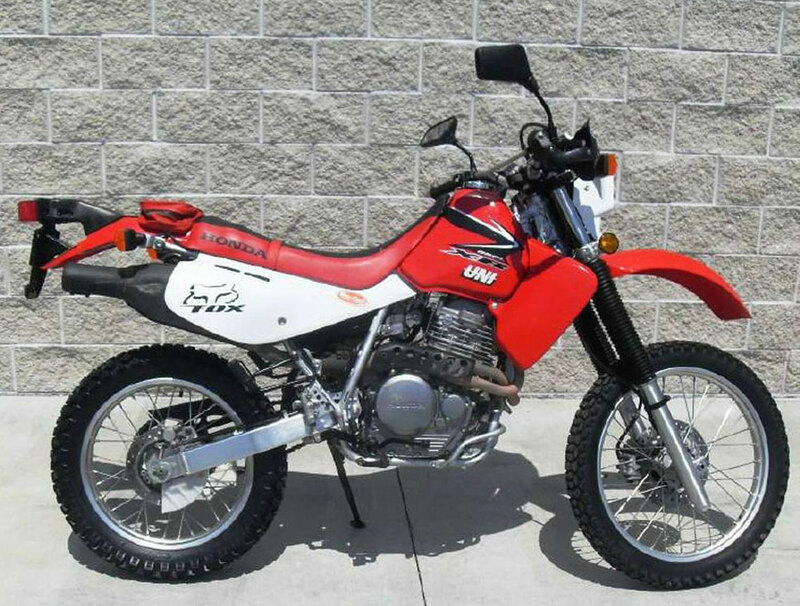 New or used, the value of a KLR is tough to beat. When it was released in 1995, BMW loyalists loathed this motorcycle. That hasn’t stopped it from becoming wildly popular in the years since with more than 200,000 F650GS motorcycles on the road today. Many of these motorcycles were purchased as starter bikes or hopeful attempts to get a spouse on the road. As such, many used F650GS motorcycles are in pristine nick. BMW owners also tend to be a loving lot and care for their machines better than most. Reliable, smooth, and capable, these motorcycles have huge aftermarket support and as an added bonus, might earn the top spot for RTW fuel efficiency at 71 mpg. The Dakar variant fetches a touch more money, but they too can be found for reasonable money and in good condition. Our Expedition Portal project Dakar was purchased for well under $6,000 with only 5,000 miles on the clock. 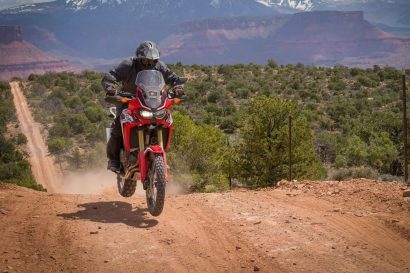 These motorcycles eat up the miles, and do quite well off-road for what they are. Launched in just 2004, the DL650 was an instant hit. Timing had much to do with that success as it arrived just as the adventure segment was booming. Built around one of the best V-twin engines of the last couple decades, the “Wee-Strom” is reliable, rider friendly, and while it may prefer tarmac over dirt, is a solid performer when things get rough. At nearly 500 pounds, it shoulders heavy loads well and gets up to 54 mpg. To be fair, this is not such an easy bike to find given my criteria, but they do exist. Some may argue this is not a viable platform for RTW travel. Even KTM told Ewen McGregor they didn’t think the 950 would survive a lap around the globe. That said, KTM motorcycles have since made the journey around the world, albeit with a good bit of wrenching. Aftermarket support is comprehensive, but finding parts in dark corners of the world will be a challenge. This motorcycle also gets marginal fuel efficiency. If however, your route includes a gratuitous amount of dirt, this would be a hoot to ride. Let’s dispense with the obvious. Having owned this bike years ago, the idea of riding it around the world makes my hands go numb and my neck hurt. Why put it on the list? My friend Paul bought a 2006 XR650L for peanuts and then rode it from Alaska to Ushuaia––and back. He did it with two other riders on their own XR650L bikes. It sounds terrible, but the XR650L is a very simple machine, reliable, and can be had in near-new condition for a pittance. Fuel capacity needs to be augmented with a bigger tank, and it would benefit from added wind protection, but as budget bikes go, it fills the bill. Within the same scope of price and performance, the Suzuki DR650 would also be a viable option. These are not the only options by any stretch. 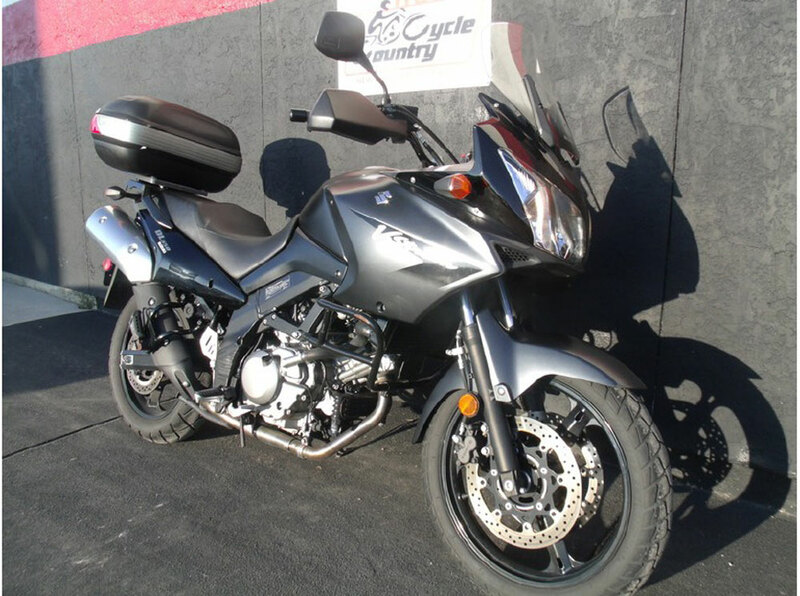 How you define your own criteria of a budget RTW motorcycle can greatly expand your selection. Maybe a Royal Enfield Bullet is your style. 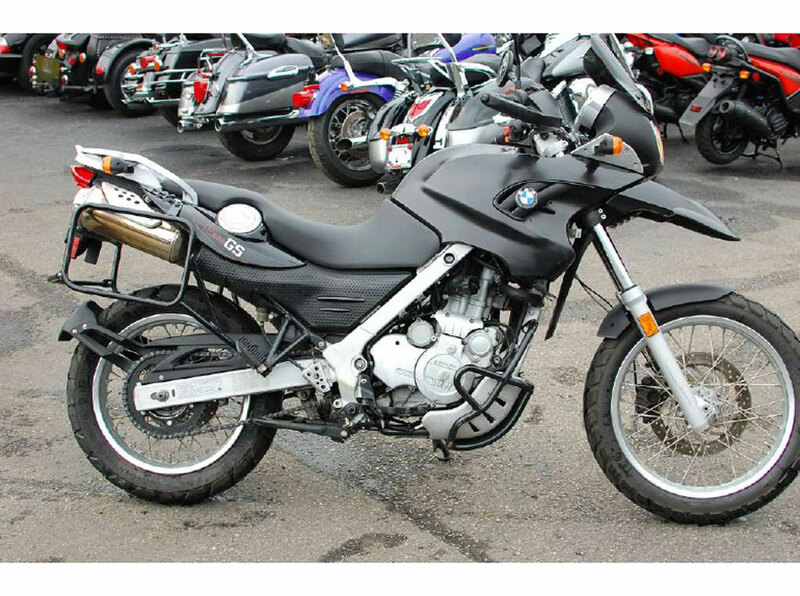 If you don’t mind older bikes, and the mechanical needs that come with them, a ten year old BMW R1150GS might do the trick. 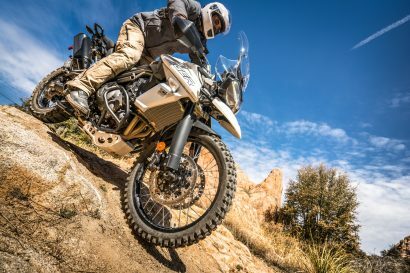 The point of this exercise is simply to point out that a $25,000 adventure motorcycle is not necessary to get your foot in the adventure door. A $3000 KLR or $5000 F650GS can deliver you to the far side of the globe if you give it the chance.